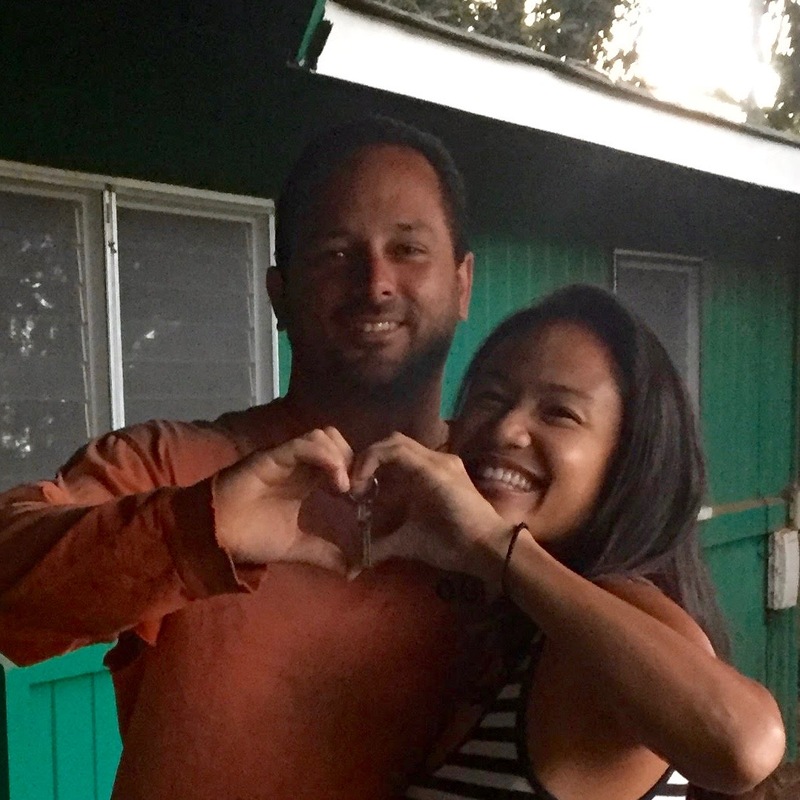 When my girlfriend and I first thought of buying a home on Kauai it seemed like a dream. A dream that might come true in a few years, maybe 3-5 years. That didn’t stop us from looking, which turned to dreaming which grew into us looking more and asking realtors questions. We connected with Wren Perdue and told her we were interested in purchasing a home. At the time, we were in talks with a few different realtors but it became apparent that she was going to do whatever it took to find us our home. After daily emails and options from Wren working round the clock we saw our perfect home but unfortunately it was in escrow with another buyer. We we kept looking but we just couldn’t get this home off of our minds. About a week or two later we got a call from Wren saying that the house had fallen out of escrow and immediately with Wrens help we jumped on it. Being that this was our first home, we thought that the battle was already won being that we were already approved but found out quickly that it is a very detailed and tedious process. It took so much paper work, so much explanation of income etc… And that was just another small portion. Then there’s the negotiating process and as any home owner would like, someone to make sure you’re buying a home that is ready to be lived in and be lived in for a very long time. From our search to our paper work and down to not just getting the home for the correct price but making sure that the home was taken care of before we moved in, Wren made sure we did everything right. I cannot stress enough how hard she worked. She always had a good, assuring and motivated attitude. Unlike the sellers agent who thought going on trips and not answering there phone for almost weeks was more important, Wren was completely the opposite and I truly believe that if not for her, we would have never gotten this home. She never took a day off, she answered every single phone call no matter what day or time, she answered every email very quickly, she answered every question we had (and I had a lot of them:)) and if there was anything I asked that she wasn’t 110% sure about! she found out right away and let us know. Her knowledge of the market was amazing and she explained every move we did throughout the whole process. She brought on her own trusted people and made sure that we had all the right people around us stressing us to put our best foot forward the first time around so we get the home we want and we did and it’s all thanks to her willingness to listen to what we want and her professionalism, leadership and experience to also tell us how to get it. Because of her work ethic and experience in how and what to do and who to do it with; we got into our home for not much at all and our mortgage is very reasonable. We not only got our home for under asking price but she made sure our home was inspected in every aspect, approved, anything that needed to be treated or fixed was and because she found us such an amazing home under our budget with an very large 2 room studio, we now are able to rent our studio out for half our mortgage payment. If you would have told us 6 months ago that in a couple months, we would be living in your own home, I would have laughed and said I doubt it. We’ve lived in our home for two months now and I’m still blown away that our dream is now reality and there’s only two reasons why, God and Wren Perdue and the Bali Hai A team. I have had several friends say that their process of home owning was a lot harder and longer. I can’t imagine anyone working as hard, being so involved, so visibly invested and so detailed & precise with exactly what we wanted. I would definitely recommend Wren Perdure @ Bali Hai and if/when I am able to shop for a house again, I have no doubt who I’m going with. — Benji and Trish R.